Mild mannered anaesthetics supervisor and ICU nurse by day and by night, unstoppable ultramarathon runner by every other waking and sleepwalking hour. 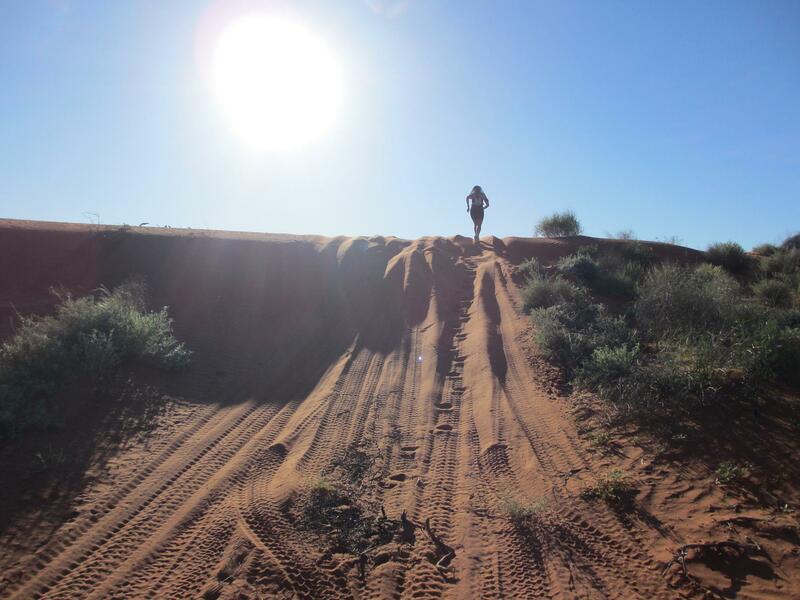 The first woman to complete the Aussie Grand Slam of Ultra Running with 4 races of 100-150 miles within a single 3-month period, Jane is now the first woman to ever run across the Simpson Desert. Her latest exploit began on April 1. Ably supported from 2 vehicles by a roughly assembled crew of 5 from Tokyo, York in W.A, and Adelaide in South Australia, Jane reached her goal in Birdsville on Tuesday April 10 – but only after a flood-threatened journey of more than 660km in temperatures of up to 45 degrees Celsius. She is yet to reach her fundraising goal for charity of choice Bear Cottage, but if you’re reading this right now you can help by clicking on this link. Jane ran across the desert in a single pair of Bondi B running shoes from Hoka OneOne Australia. She is also proud to be a brand ambassador for Skirt Sports and Injinji, and appreciates the support of her local running shop, Northside Runners, in Manly. Her ongoing challenge, soon to be met, is to complete her hundredth ‘standard’ marathon this year.